Play dough is just fantastic – a super sensory play material that feels good, smells good, doesn’t make too much mess and my kids love it. 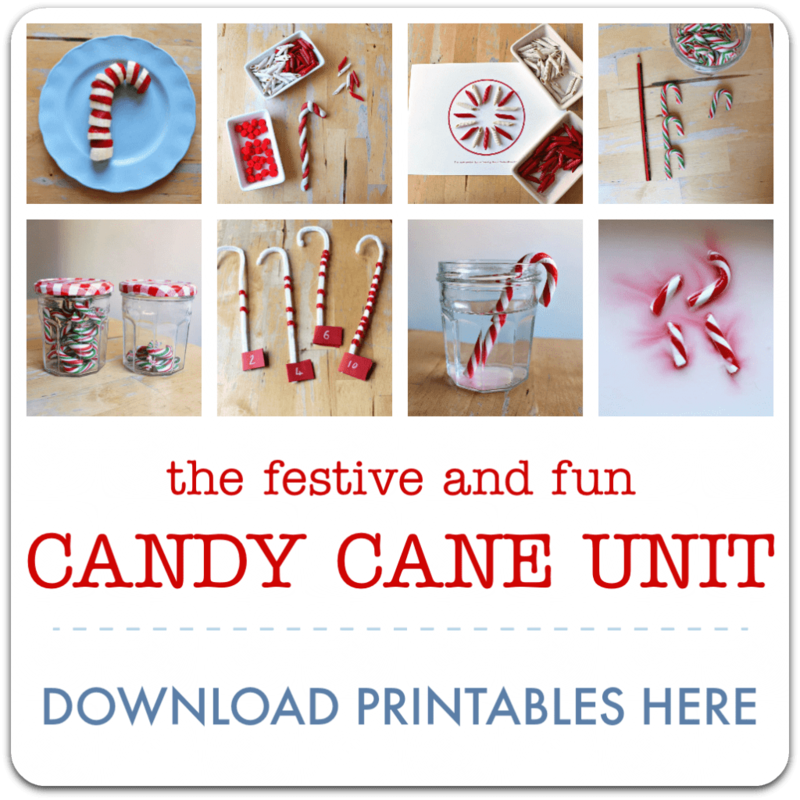 It’s great as a calm-down activity for giddy, festive kids, and put together with some Christmas cookie cutters it makes a lovely Christmas gift . 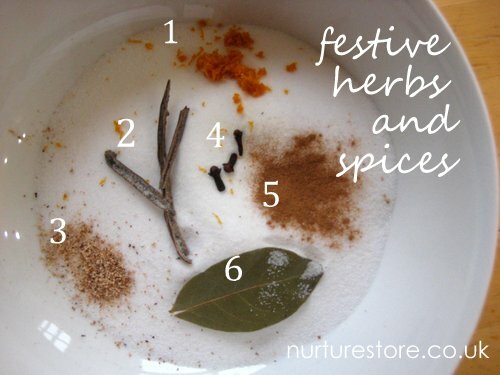 Here’s the recipe with the special blend of herbs and spices that smells exactly like Christmas. Blitz this with a blender until everything is chopped, mixed and smelling wonderful. 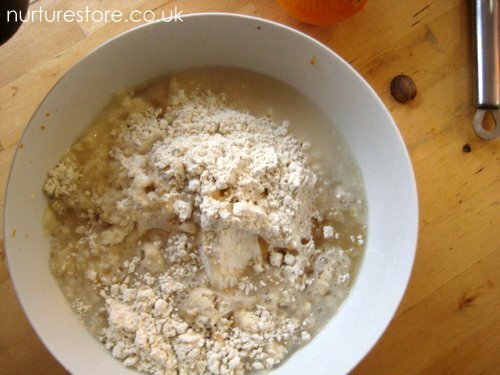 two tablespoons of vegetable oil and two tablespoons of cream of tartar. and some food colouring. Red? Gold? Green? 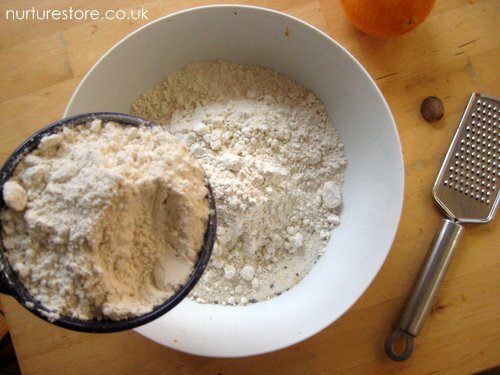 Then mix it and form it into a dough. Add some extra shine to the play dough recipe by pouring in a little glycerine. Add a good dash of glitter for some festive sparkle. Knead the dough for a few minutes and then you’re done. 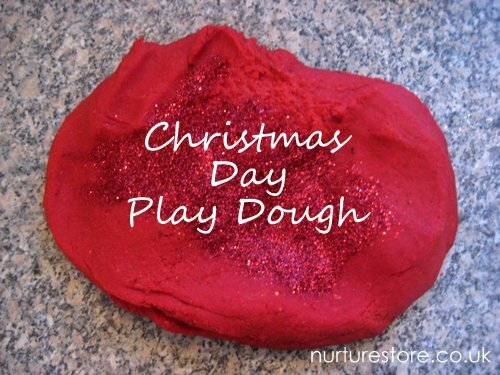 Wrap the play dough in a plastic bag and it will last into the new year. 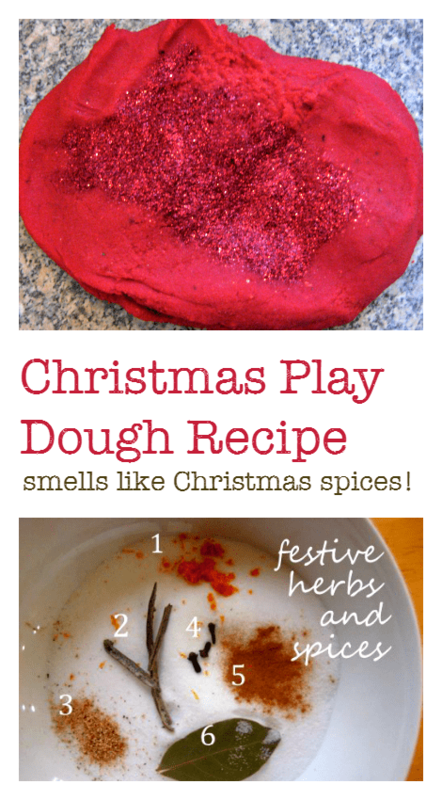 This seasonal play dough recipe is such a lovely idea! The holiday scents always bring back wonderful memories for me. This is a great way to create special new memories for kids! Thanks for sharing! Oh, I love this play dough recipe Cathy! LOVE! I bet it smells amazing! Hi, I was doing this receipe in a rush this morning and added all the spices but managed somehow to forget the salt. I now have a very sloppy dough. I don’t want to throw it away but Ive added lots more flour and after a short while of playing it’s back to putty? Do u know of anything I can do at this stage I rectify it? It does smell lovely though. Thank you. Oh no Paula! The only thing I can think of is to make another batch (so you have the boiling water agent going in), add in your sloppy dough and add in the salt you missed out first time. 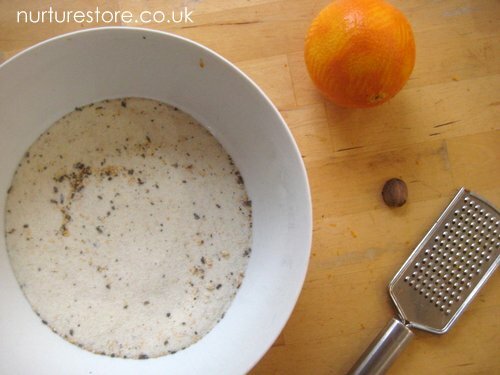 I don’t think you’re going to get your current dough to work without the salt, and adding it in at this stage won’t work as there’s no water to dissolve it. I love this!! I’m planning on making this to put in the goody bags for my son’s Christmas party. Will this recipe be enough for 19 kids or should I double it? I’ll obviously be giving small portions. Thanks! Hi Lauren. I think I would certainly double and maybe even triple it for 19 kids, depending on how generous the portions will be. Hope all the kids like it! 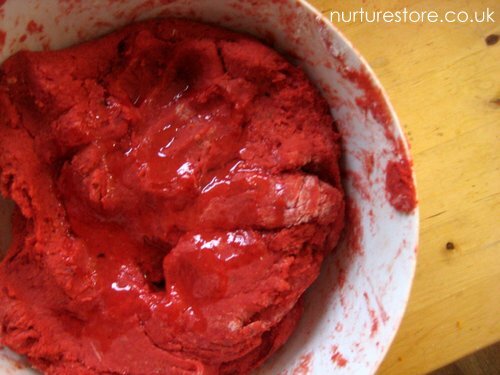 Does the red food coloring bleed when mixing/playing with the dough? I would hate to have kids running around with stained hands. Hi Lorraine. No, ours never does. 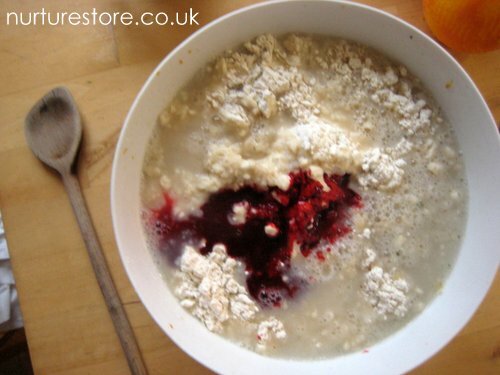 I think it’s important to mix the colour in with all the other ingredients in the bowl, so the colour binds with the dough and then doesn’t bleed. 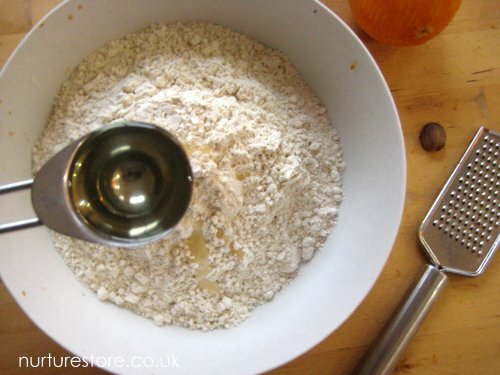 It’s when you leave the colour out and only add it in to the finished dough at the end that I think you might find it gets on hands. Oh my this sounds too good. Do the kids eat it? I love the natural sound of it. Thanks for sharing.